David Ying aims to explain procedures in an easy to understand manner and will spend as much time as necessary to clarify the finer details and answer any specific questions. To ensure patients are well informed, he supplies comprehensive patient information sheets, which can be taken home for personal reference. It is important that patients carefully read the information sheets and write down any questions so that they can be discussed at the next consultation. Before your consultation, you will be asked to complete a New Patient Registration Form, which documents your previous medical history and current medications. It may be helpful to bring a list of your medications with you. We recommend that you download and complete the New Patient Registration Form prior to your consultation by downloading the PDF from the link on the left of this page. At your initial consultation, a detailed medical history will be taken and you will be examined to assess your suitability for the surgery you are enquiring about. You may be shown before and after photographs of patients who have had similar surgery to the procedure you are seeking. Patients are encouraged to bring a partner or a friend with them to the consultation. This is a good way to remember as much information as possible and be able to further discuss the procedure later. Speaking to other people who have had similar surgery to you may be helpful to understand generally what is involved, but that person’s experience is limited to their own particular surgery and therefore, is not completely reliable information for your own situation. Following the initial consultation for patients wanting to undergo aesthetic surgery, we make a second consult for 10-14 days later, to discuss any further questions you may have. You will also be provided with a written quotation before this appointment. Should you wish to seek a second opinion, David Ying is able to suggest other reputable and qualified plastic surgeons for you. We have also provided some additional guidelines to assist you in choosing your surgeon. Please note that patients do not always need a referral from a GP or other medical professional to make an appointment with David Ying. 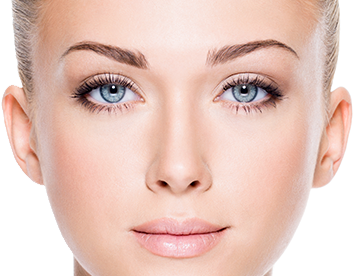 For a cosmetic surgery consultation, a referral is not necessary. If you are unsure whether or not you need a referral, please contact us to discuss. If you would like to make an appointment with David Ying to discuss a procedure, please call or send an email via the contact us page.